Calling all clients from the South area! We are just near you now that we have our office in Makati City. Visit us every Tuesdays at Ascott Ayala Center, 7th Floor Regus, Glorietta 4. We have free visa orientation there and student visa assessment. Seminar starts at 1:30pm. 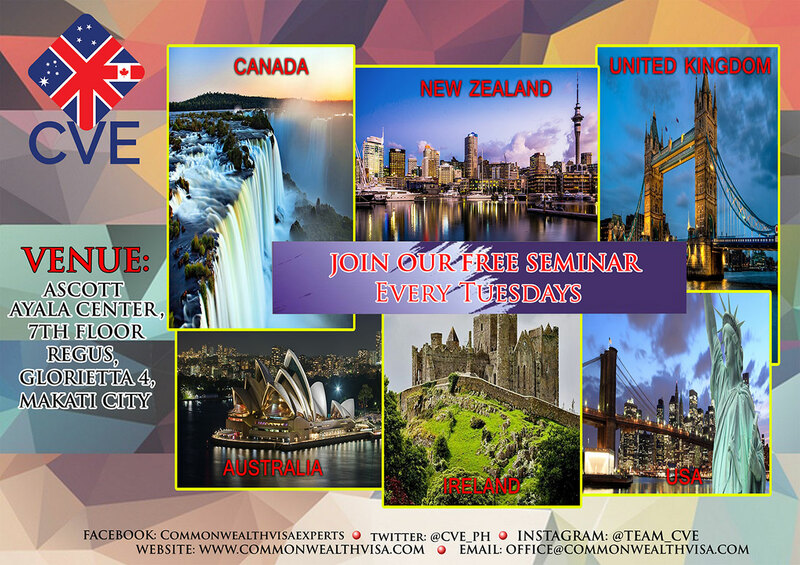 Join us every Tuesdays and we are here to help you get to your desired commonwealth country, be it in Canada, New Zealand, Australia, Ireland and the United Kingdom.